When Mustafa Kemal Atatrk became the first president of Turkey in 1923, he set about transforming his country into a secular republic where nationalism sanctified by science--and by the personality cult Atatrk created around himself--would reign supreme as the new religion. This book provides the first in-depth look at the intellectual life of the Turkish Republic's founder. In doing so, it frames him within the historical context of the turbulent age in which he lived, and explores the uneasy transition from the late Ottoman imperial order to the modern Turkish state through his life and ideas. Shedding light on one of the most complex and enigmatic statesmen of the modern era, M. Skr Hanioglu takes readers from Atatrk's youth as a Muslim boy in the volatile ethnic cauldron of Macedonia, to his education in nonreligious and military schools, to his embrace of Turkish nationalism and the modernizing Young Turks movement. Who was this figure who sought glory as an ambitious young officer in World War I, defied the victorious Allies intent on partitioning the Turkish heartland, and defeated the last sultan? 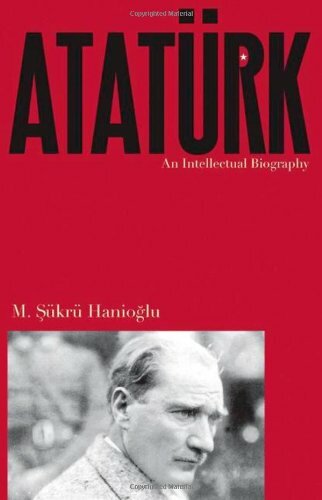 Hanioglu charts Atatrk's intellectual and ideological development at every stage of his life, demonstrating how he was profoundly influenced by the new ideas that were circulating in the sprawling Ottoman realm. He shows how Atatrk drew on a unique mix of scientism, materialism, social Darwinism, positivism, and other theories to fashion a grand utopian framework on which to build his new nation.